When you’ve been injured in an accident or suffer a sprain or strain, it’s pretty apparent that a chiropractor is needed. But did you know that chiropractic can help with so much more? You may be suffering with symptoms and not know the underlying cause – visiting the chiropractor can help determine the source of the problem and help you resolve it. 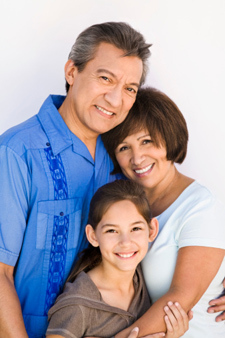 Patients of all ages are helped by chiropractic, so you can feel confident bringing in your whole family. From infants to the elderly, Dr. Early has treated patients with a variety of conditions you might not expect. Dr. Early adjusts his own children, and believes it’s an important part of keeping them healthy. It’s especially important to teach children early on about taking care of their health – eating right, exercising regularly, and maintaining a healthy body. Don’t leave your family behind! If you’re experiencing great results from your treatments, chances are your friends and family could benefit too. Give us a call to learn more about how regular chiropractic care can help the ones you love.